On June 22, 2013 Spectral Solutions was honourably invited to participate in a Paranormal Investigation at this historic, albeit tragic location. 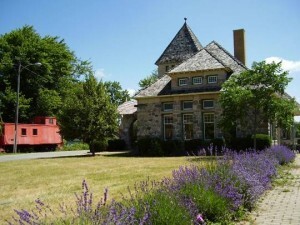 The Essex Railway Station is a restored historic site dating back to 1887 when the building was constructed, and Essex was the transportation hub of Essex county. The building suffered major damage in 1807 when a rail car filled with nitro-glycerin exploded. The building was restored at that time, and continued to serve the community for many years. Eventually, passenger service was discontinued and the building stood empty. Efforts to preserve the building began in 1975 and continued until the completion of the restoration in 1994. 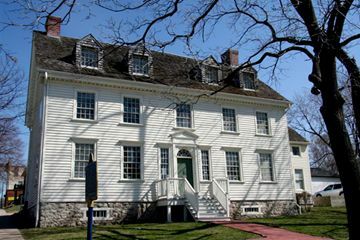 On April 25, 2013 Spectral Solutions was delighted to have the opportunity to conduct a Paranormal Investigation at this very historical location. Duff-Baby House was built between 1792 and 1798 and is considered to be the oldest building in Windsor. The house was built by Alexander Duff as a fur trading post. 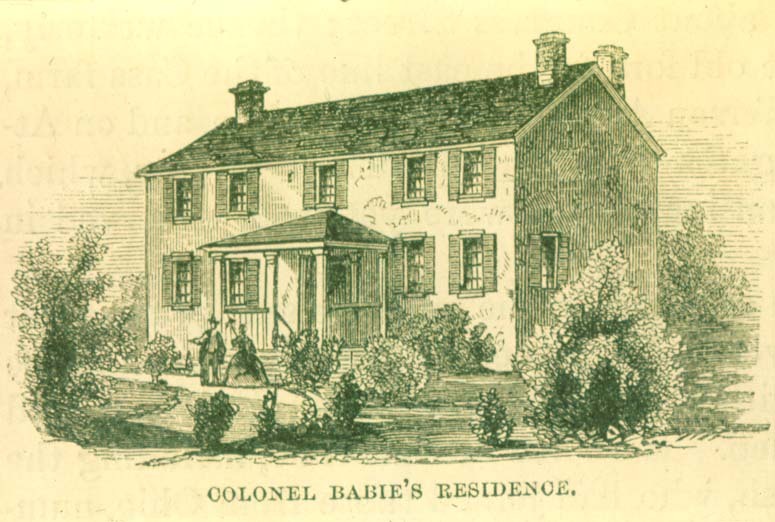 In 1807 the building was bought by James Baby and was also used as the headquarters of the US General Harrison until it was ravaged by the British during the War of 1812. This house was refinished as James Baby’s residence in 1816 and is located in Olde Sandwich Town, which is the oldest part of Windsor, where settlements date back to the mid 18th century. The team arrived at 7pm to begin our investigation. We were greeted once again by Madelyn and Heather (Francois Baby House curators) as well as Rosemarie and Rob. Rosemarie is an archaeologist/sensitive who has performed “archaeological digs” at this location and also was a great source of “paranormal” information from what she has experienced at this location. We began with a tour of the premises and was directed to the “hot spots”as per the stories gathered from employees and Rosemarie herself. We set up our equipment in these locations, broke off into two teams and began our investigation. At certain points throughout this investigation what may have been footsteps in hallways were heard and an investigator heard whispers in real time from the exact spot where “the Woman in White” apparition was sighted. Madelyn and an investigator witnessed a strange green light (without source) in an upstairs closet where a “young male spirit” was seen crouching as if hiding from someone. We had placed a baby monitor in this closet in hopes of capturing sounds/voices in our absence as we moved throughout the house. After the strange light appeared in the closet we returned to the main floor when we heard sounds coming through the monitor’s receiver. No other persons were upstairs at this time but what could be called electrical interference was emitting through the receiver. This was the only occasion this was noted. The sensitives in the group had experienced, on multiple occasions, feelings of other energies present and all accounts coincided to the same locations. On a few occasions our infrared motion detector trap camera was triggered, however, nothing was ever caught on camera and no logical explanation for its activation was determined. Upon review of our digital recorders it was discovered that many evp were captured and are available below. At 11pm we concluded our investigation and thanked the ladies for another wonderful and insightful history lesson and the opportunity to experience the spirits of our past. On Tuesday October 30, 2012 Spectral Solutions had the honour of being the first paranormal team to investigated this historical building. The François Bâby House is a historic residence located in Windsor, Ontario which was owned by the prominent local politician Francois Baby. The house was known as La Fermelocally and was a French Canadian Ribbon Farm, which was a long narrow tract fronting endwise on the Detroit River. 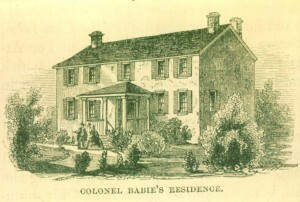 The home itself has historical ties to the War of 1812 where it was used as a headquarters by both the American and British forces. Today, the François Baby House has been designated as a National Historic Site of Canada and serves as the current home of Windsor’s Community Museum, a historical museum which displays the city’s rich and colourful past. We were joined by the curator and a staff member as well as two members of the public who had won a guest investigator spot through raffles at one of our Public Hunts. We arrived on site at 8pm, set up our equipment and anticipated an interesting night. We were thrilled to be able to view the treasures on hand in the museum but unfortunately the paranormal occurrences were at a minimum. We did, however, capture two EVPs during the night.